▼ Spec. : 8.38" (Length), 7.48" (Width), 0.98" (Height); Four-layer fabric (One Carbon Layer); Installation instructions included. 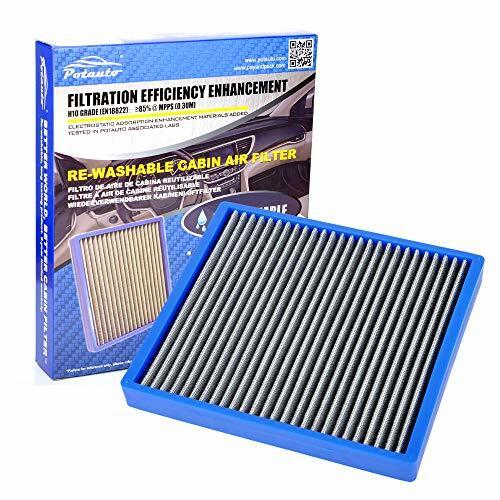 ▼ *** Change filter every 12 months or 12, 000-15, 000 miles. Check & replace filter if peculiar smell / odors emit from the cabin air outlets, or if the vehicle HVAC system operates with poor performance, or humming, or weak air volume. ***LEGAL DISCLAIMER: The Brand name & Model # (if listed) are for cross reference only. All Brands, Trademarks & Model Numbers remain the property of their respective owners. If you have any questions about this product by Potauto, contact us by completing and submitting the form below. If you are looking for a specif part number, please include it with your message.